WASHINGTON — Rest easy, Warthog fans. In the fiscal 2019 budget request, the Air Force will be asking for more wings needed to sustain the life of the beloved A-10 Thunderbolt II, but how many squadrons the service will retain long term is still up in the air, the head of Air Combat Command said Thursday. The Air Force confirmed last year that it could have to retire as many as three of its nine A-10 squadrons unless Congress funded new wings for about 109 aircraft. Although a 2018 spending bill has not been passed, the defense committees have been supportive of a $103 million unfunded requirement to start a new A-10 wing line and purchase four wingsets. The service will request even more money in the fiscal 2019 budget to continue the rewinging effort, Gen. Mike Holmes, head of Air Combat Command, said at the Brookings Institution. The Warthog is well-loved by troops on the ground for its ability to fly close to the battlefield and deliver tank-piercing rounds from its Gatling gun. It’s had a more tumultuous relationship with Air Force leadership, who have in the past attempted to retire the aircraft to save money, in turn garnering the ire of A-10 proponents in Congress. Even if Congress funds the additional wing sets, the Air Force will not be able to hold a competition, award a contract and modify its A-10s with new wings before the service life of the old wings runs out, said Gen. Ellen Pawlikowski, commander of Air Force Materiel Command. 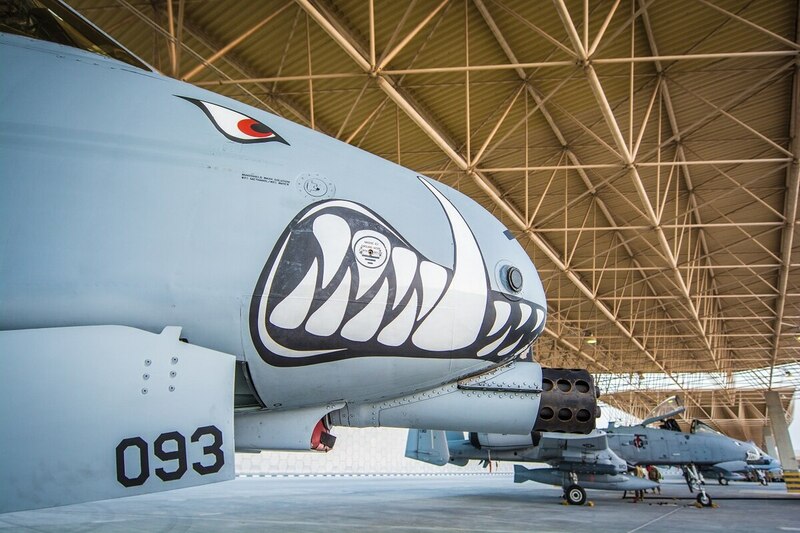 Air Force Chief of Staff Gen. Dave Goldfein and Secretary Heather Wilson have repeatedly expressed their intention to keep the Warthogs, with Wilson even calling herself a “fan” of the ground attack plane. But money remains an issue. The service operates 281 A-10s, 172 of which are under contract to get new wings from Boeing. However, Holmes said the service will have to compete future contracts, as wing production has become prohibitively expensive for the company. Last September, Gen. Ellen Pawlikowski, who leads Air Force Materiel Command, told Defense News that Boeing was having difficulties producing and delivering wing sets on time. The problem, Boeing said then, was a delay in a supplier-provided composite part. But Pawlikowski warned that unless the issue was solved, the Air Force could be forced to ground A-10s as early as fiscal 2018, with at least 55 aircraft grounded by fiscal 2025. To keep its Warthogs flying, the service was considering cannibalizing wings from A-10s in the boneyard at Davis-Monthan Air Force Base, Arizona. Boeing still has yet to deliver 14 wingsets, which are slated to be accepted by the Air Force this year, said Capt. Emily Grabowski, a spokeswoman for the service. A spokeswoman for Boeing said the company will continue to compete for future A-10 win replacement opportunities. “Boeing won the A-10 wing replacement program competitively and has delivered wings according to the firm fixed price contract. While the ordering periods on that contract are expired, Boeing would welcome a follow-on effort for additional A-10 wings,” Cassaundra Bantly said in an emailed statement to Defense News. Even if money for new wings materializes, the Air Force has limited capacity and won’t be able to keep A-10s around forever, especially as it ramps up its F-35 buy rate and develops more F-35 squadrons, Holmes said. The service in December selected Truax Field Air National Guard Base, Wisconsin, and Dannelly Field, Alabama, as its next preferred locations for basing F-35As. Once it begins moving old F-16s to A-10 bases, “you’ll know that we’re talking about retiring A-10s,” Holmes said. “We live in a world with limited budgets, so how many fighter squadrons can we afford to maintain? How many will I have the O&M to operate and how many does the nation need?” he said. Edited Jan. 25, 2018 at 5:35 EST to add comment from Boeing and further details on A-10 wing delivery, as well as to clarify a quote from Holmes.